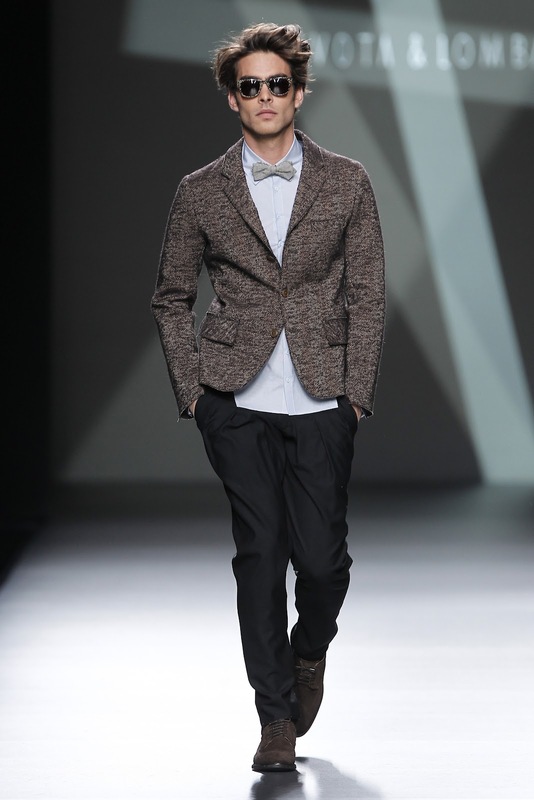 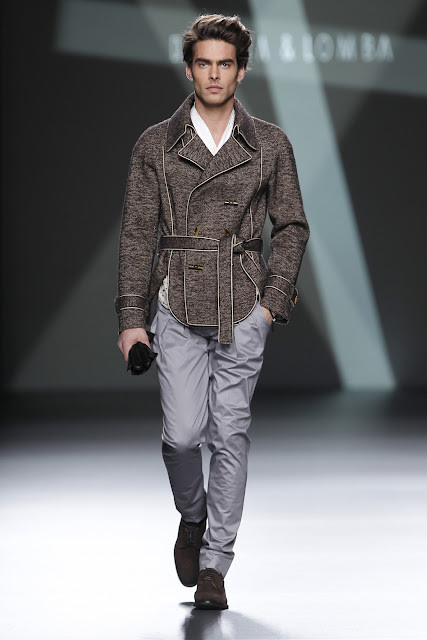 Designers Luis Devota and Modesto Lomba of the label Devota & Lomba presented thier fall/winter 2012-2013 collection at Madrid Fashion Week. 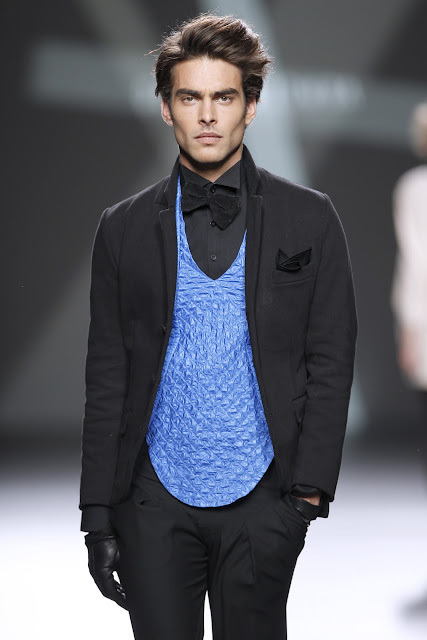 The geometric cut and asymmetric details reflected designer Modesto Lomba's architecture training. 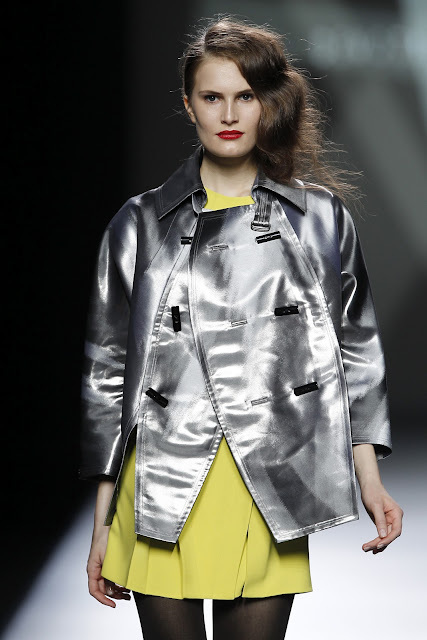 Metallic shades and bright colours were mixed with neutral grays and black.